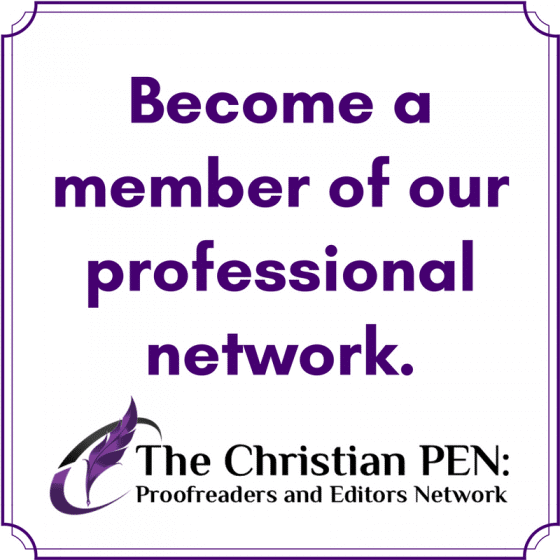 Whether you are a seasoned editor or thinking about becoming one, The Christian PEN will provide you with education, networking, and community. Our diverse group of freelance proofreaders and editors has a variety of skills, specialties, and levels of experience. Join us at one of three levels: Bronze, Silver, or Gold. Learn through online courses at The PEN Institute, at PENCON (our annual editors’ conference), and by getting to know other editors personally. Our network is active in our private e-mail group where we share tips, ask questions, and offer years of experience at a moment’s notice. Become a part of a community of like-minded professionals who share our knowledge and experience with one another. We work together to glorify God with the talents and passions He has given, knowing that ultimately, God is the one who provides each client, project, and connection. The Christian PEN is a division of Christian Editor Network LLC. Reading the PEN daily posts constitutes at least a grammar and marketing course for editors/proofreaders. You have an unbeatable combination with aspects of making like-minded Christian friends and having prayer support. It is comforting to have dependable professionals available if I cannot meet my client’s needs at a particular time. After taking six classes through the Christian PEN, I launched my freelance editing business in April, 2007. By October, I had enough editing clients to quit my day job and go full-time with editing, and I’ve never looked back. My work is always changing, always challenging, and always pleasurable. From mentoring beginning writers, to critiques, to giving clients “the works,” The Christian PEN has given me all the tools I lacked to help me start up and run a successful freelance editing business. I will never go back to punching a time clock again! What incredible fellowship I’ve experienced through the PEN! I love The Christian PEN because of the opportunity to commiserate with other editors about the writing and editing life. And hey, we’re all in the same boat, so my question might be someone else’s. It’s fabulous to know that anytime I need encouragement or simply forgot what to do with a comma, all I need to do is ask. Within five minutes, I’ll have several replies with the solution to my problem. You can’t pay enough money for perks like that! What incredible fellowship I’ve experienced through the PEN! Praise God for this wonderful online community! The Christian PEN has proven invaluable to me on many occasions. I don’t know what I’d do without being able to turn to the terrific folks here for answers and tips when my brain gets fried. The Christian PEN has helped me mostly in three ways: the prayer loop; working on the PEN Points newsletter; and the courses, especially the recent Business Building and its hints on scheduling and time management. 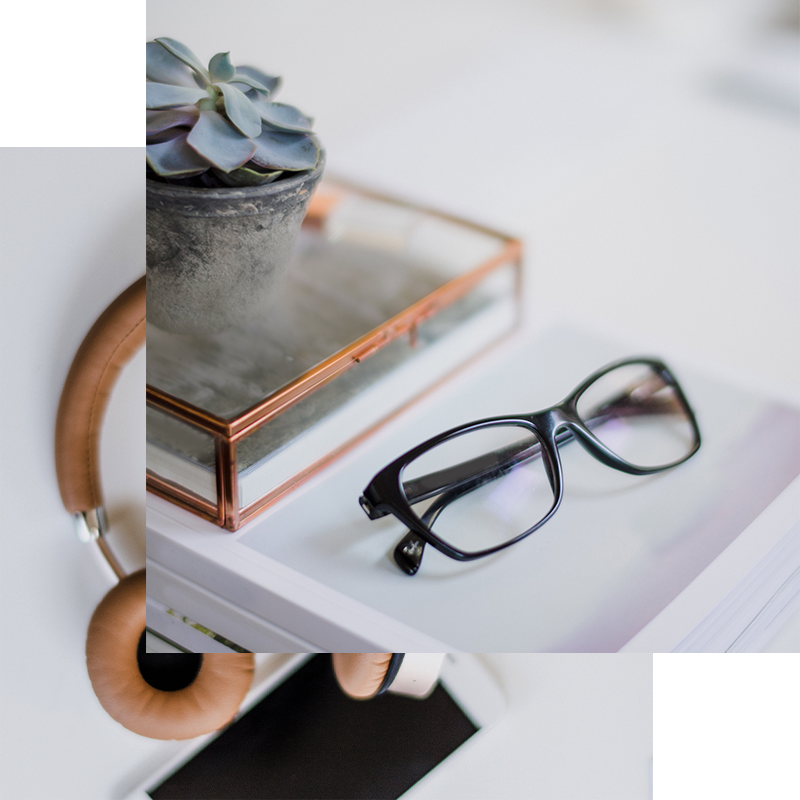 An ever-growing list of articles to help you with creative writing, content marketing, inspiration, and much more.